After listening to Paddy Hannan tell his tale of discovery, you can find your fortune panning for gold, and try your hand at the legendary game of “Two-Up”. 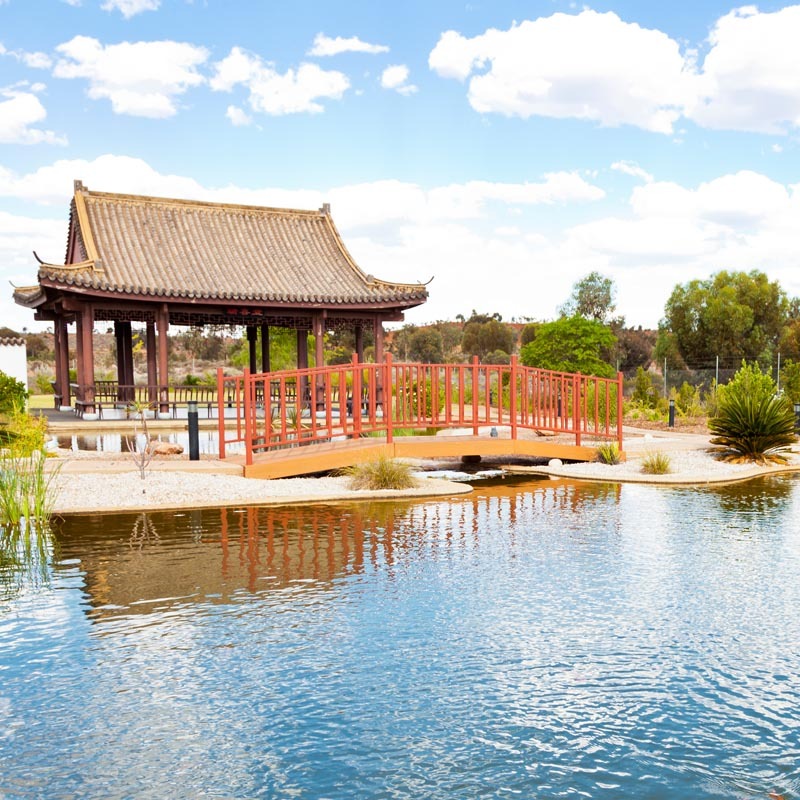 Walk through original buildings relocated from mine sites along the Golden Mile, including an historical dynamite room and the Paringa Gold Room which was in use from 1920. The Daisy Mae Engine room is home to beautiful early 1900s engines which are still in working condition today. 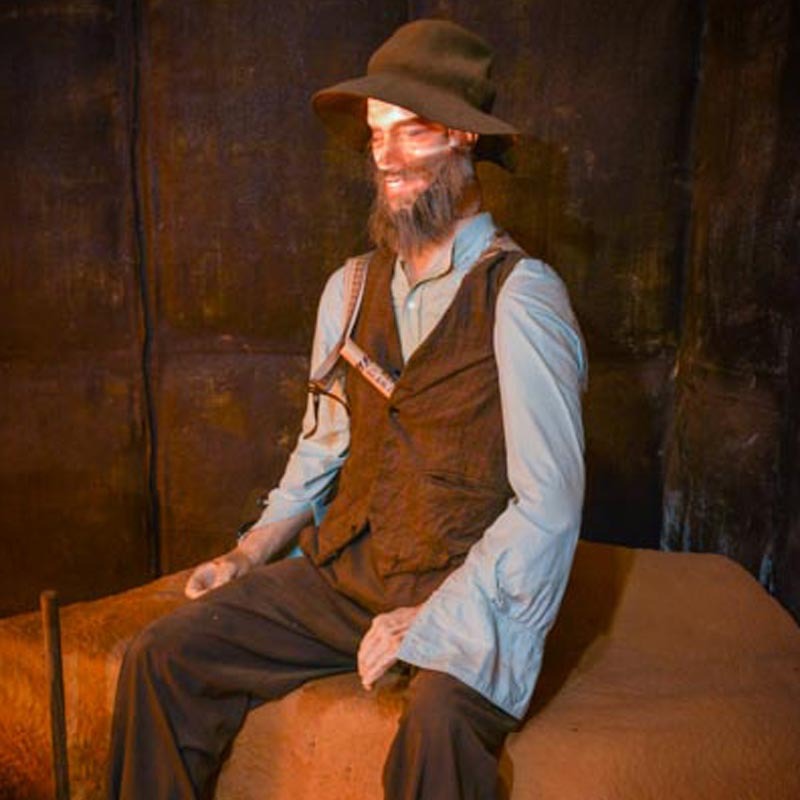 Our Prospectors Campsite lets you see how miners of the 1890s lived and worked and gives you an idea of how tough life was in the early Goldfields. 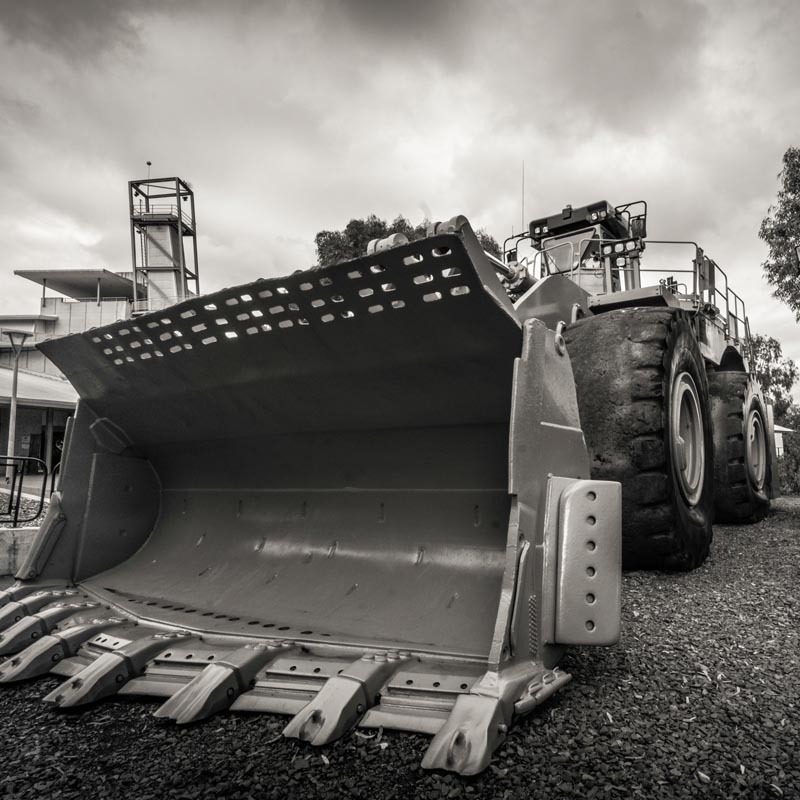 Hannans North also allows you to experience modern day mining as you climb aboard a giant 793C haul truck, stand in the shovel of a 994F loader, and go inside a modern underground refuge chamber where up to twelve people can survive for seventy-two hours. 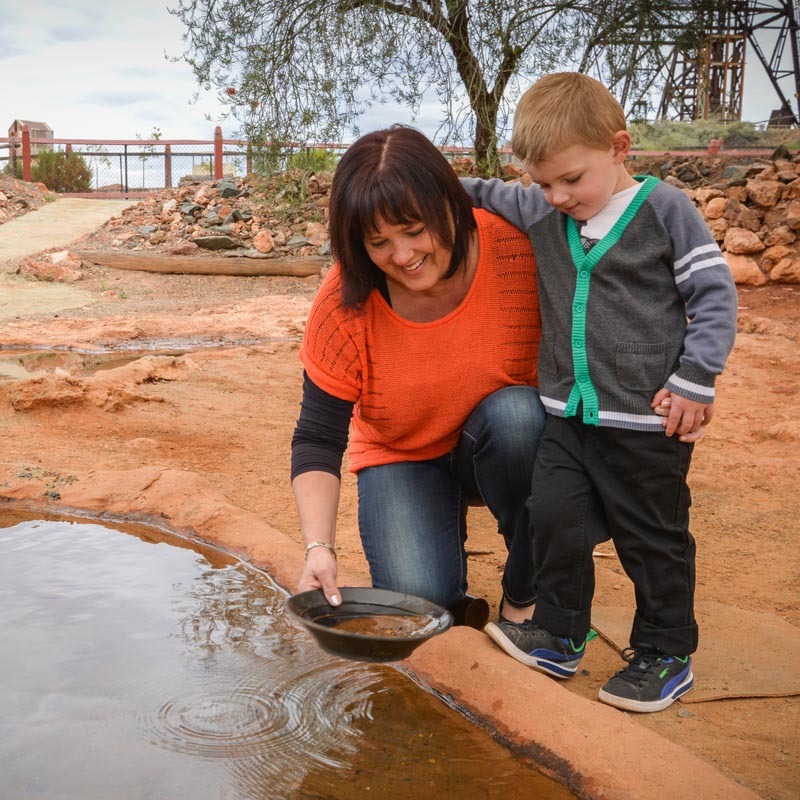 No visit to Kalgoorlie is complete without a visit to Hannan’s North Tourist Mine, where you will experience a vibrant mix of gold rush history and modern day mining. Hannans North Tourist Mine hosts many groups, large and small, tour groups, businesses, clubs, families, schools and groups of friends. Our expert team can tailor a visit to meet the needs and expectations of any group. Please contact our friendly staff , by email at hannansnorth@kalgold.com.au or call (08) 9022 1664 during office hours. You are always welcome to use our BBQ and picnic facilities.